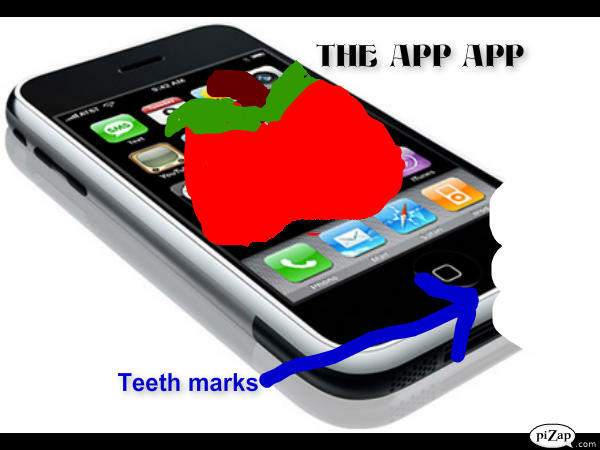 Although I don’t work for Apple, I will soon be submitting four rhyming apps to Steve Jobs. I noticed these weren’t available on my iPhone. Please take a look at them and let me know if you would buy one, two, three or all four of them. This will help me when writing my letter to Mr. Jobs. Thanks, friends! You would only use The App App in the most desperate of situations, such as when stranded on an island with all edible plant and animal life already consumed. Immediately upon purchasing, an apple smell would emerge from the phone causing your mouth to water, open, bite, chew and swallow the electronic device for temporary nutrition. You will die within 24 hours, so use only when really hungry. 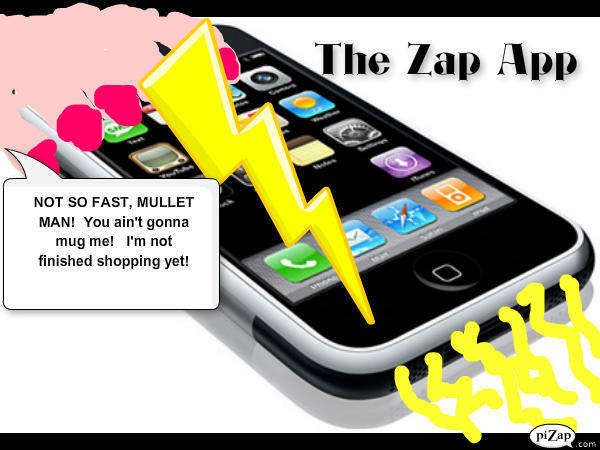 The Zap App would transform your iPhone into a stun gun. With a single push of a button, sparks emerge from the recharging port into the neck of the man trying to mug you in the Wal-Mart parking lot or to anyone wearing a mullet. The stunned person will recover within 5 minutes, so run fast, sister. The Crap App acts sort of like Poo-Pourri. You have heard of Poo-Pourri, haven’t you? This is an actual spray that ladies can use to coat the water of the toilet prior to starting her business. When this sweet lady leaves the bathroom, no one will know that she just about killed that toilet and every living thing within 5 miles of it. 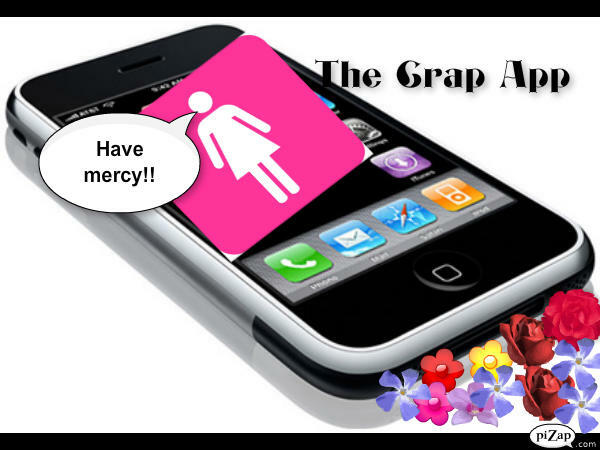 The Crapp App will create a fine, pleasant-smelling mist,just like Poo-Pourri, that will emerge from the recharging port and coat the water of the toilet. You need it. Believe me. Ladies, forget about going to the gynecologist over and over and over. Just buy The Pap App and save your time and gas. I am not going to get into extreme detail here, but you are basically going to get a cotton swab, do what you got to do with it and press it to the very sensitive screen. It will immediately tell you if you need to submit yourself to the hospital or continue on with your shopping trip at Target. Any cotton swab will do. Well, that completes the apps that I am hoping to submit to Steve Jobs soon. Please let me know which one you might use, if any. There are still many more in the works. I know some are crude, but, hey folks, this is real life. My goal was to help people in real life activities live a little easier. Men, Mother’s Day is coming up and I’m sure your mom’s/wife’s/cousin’s/mail lady’s birthday is coming up, too. All 4 will surely be available for purchase soon. Thanks for your purchase in advance!